Everyone loves to come home to a cozy, warm and beautiful home because it’s the place where we rest from the hustle and bustle of the outside world. Most of us spent our hard-earned money to make our home the best place to live but just don’t have the skills to choose the right interior design. This is the reason why my brother’s client in residential construction depends on him on whatever design he has for the home project. His services include advice for the right wall, ceiling, painting, some interior decors, and lightings, flooring options, furniture and some other accessories. His opinion is always asked whenever his client wants an additional design or revision on the house. Well not all people have the same requirements and preferences in home design and decors as it depends on their lifestyle, budget allocation and their preferred home style. Most of my brother’s client prefers the traditional beauty of tiles as it can endure all kinds of weather and available in various shapes, colors and styles to match your specific taste. For the stylish client it creates endless possibilities with the mix and match floor design you can do with the tiles. 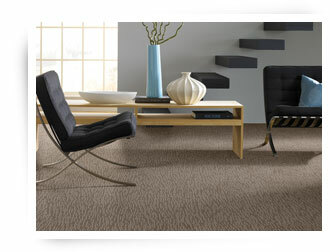 But for some who wants comfort, colors and warmth they prefer to look through wide variety of flooring in carpet stores. As most parents would love to protect their kids in their first years of walking they feel safe having the soft carpet to care for the young infant and toddler’s feet. Anyway young and old alike can benefit from the warm and welcoming carpet which can be so foot friendly and stylish with so many designs available. Carpet One will make it all possible with their wide variety of flooring options like carpet, tile, vinyl, laminate and hardwood flooring. Coming home will be more inviting and welcoming with beautiful flooring on your home sweet home.